The places where we fell in love with film are often as important to us as the films themselves. Our new column, Theater Crawl, seeks to shine a light on some of the most exciting art house theaters (and supporting organizations) fostering film conversation across the country. When was the last time you saw an indie movie in Utah not at the Sundance Film Festival? Strange as it may seem to the industry folk parachuting in from the coasts each January to take part in Sundance’s lanyard-laden frenzy, but the Beehive State boasts a robust year-round community of film lovers and filmmakers—centered largely in and around Salt Lake City. 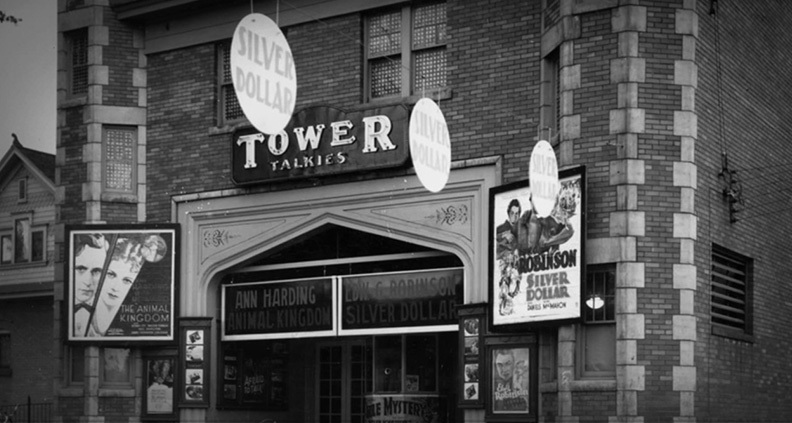 For many Salt Lakers, Ground Zero of Salt Lake’s art house movie scene is the historic Tower Theatre, located at the bohemian intersection of 9th South and 9th East. First opened in 1928, the venue had fallen into disrepair by 2001, when the Salt Lake Film Society was founded to save it from the wrecking ball. Since then the SLFS has 0nly grown. Shortly after the newly-founded 501(c)3 rescued the Tower (uneven floors and treacherously steep mezzanine staircases and all), it likewise assumed control of the Broadway Centre Theatres downtown, a modern six-screen venue that the SLFS wasted no time in filling with a wide array of ambitious programming—from buzzy indies, to foreign films, reparatory classics and special events. In addition to serving Utah’s film faithful, both locations serve as primary venues for Sundance’s Salt Lake arm each year. We recently spoke to Barb Guy, the Salt Lake Film Society’s Director of Public Relations and Marketing, about what makes both locations—an the organization supporting them—such a cornerstone of Wasatch film community. How long has the Salt Lake Film Society been in business? Guy: We’ve been around for 16 years, operating as a community non-profit arts organization. Does the organization have a mission statement? If so, what? Guy: In short, we educate, advocate, and inform about—and through—cinema. Tell us a little bit about Salt Lake and the neighborhoods you’re in. What’s the local film scene like? Guy: Our film scene is strong. Our city plays host to the Sundance Film Festival each year and after all these years, film culture permeates our city. Both of our locations [the Broadway Centre and the Tower Theater] are Sundance venues and there’s a wonderful community of likeminded film organizations in our city. Are there any interesting stories behind the acquisition of your theater space? What’s the building’s history? Guy: We have two venues: the Tower and the Broadway Centre. The Tower is a 90-year-old neighborhood venue, and SLFS was born out of a community effort to save it. In particular it was seen as a haven for LGBTQ filmgoers. It brings us great pride that the Tower is located on what’s now known as Harvey Milk Boulevard in Salt Lake City. The Broadway is in the heart of downtown, with six screens. What is your approach to social media and marketing? Guy: The best advice we’ve received is to be your own news organization. That’s what we try to do. We buy some advertising, but not that much. We create a ton of advertising and push it out on all of our own channels every single day. We tend carefully and constantly tend to our reputation in all of the many places we appear. The second best advice we’ve received? Know that Google is your home page. Our two venues have rather divergent personalities and patron bases, and we make a point of interacting with people with that in mind. Have there been any unique or unusual events at your theater? Guy: So many! We did special events with Peter Bogdanovich and Penelope Spheeris lately. Bogdanovich came to the Broadway and screened The Last Picture Show after a conversation with the Salt Lake Tribune‘s film critic, Sean Means. Penelope screened The Decline of Western Civilization at the Tower. Each of them also did a speaking engagement at a private luncheon for us. They were great fun. Also, due to Sundance, we’ve hosted visits from way more than our share of the best directors working in independent cinema today. With seven screens 365 days a year, there’s always a lot going on! Lastly, why do you think the communal theatrical experience is still important? Guy: There’s just something magical about leaving your life at the door and entering that dark room. There’s the awesome size of the screen and the weird solitary-yet-communal element as you absorb the story. At the very least, it adds up to a wonderful respite from real life. At best, people’s minds—and even lives—can be changed. 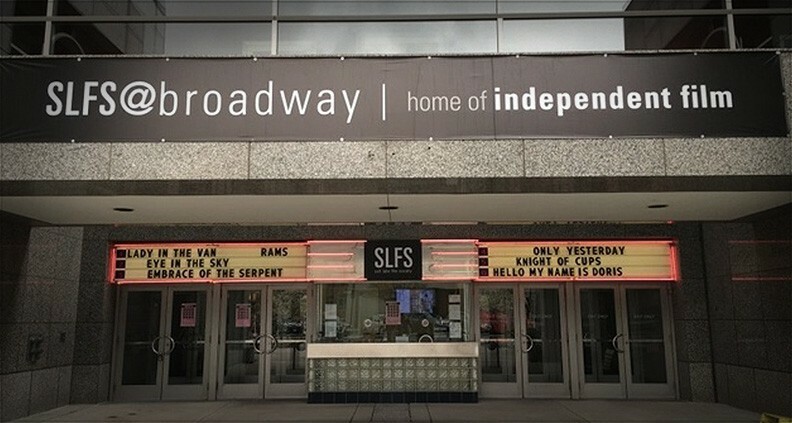 To learn more about the Salt Lake Film Society and what’s playing at its two amazing venues, check out the SLFS’s website. Do you have a favorite local art house you’d like to see profiled? Leave your suggestions in the comments.